Afghan President Hamid Karzai has agreed to a runoff presidential election in the wake of convincing evidence that as many as one quarter of the votes cast for him in the recent election were fraudulent. He really had no choice. The perception of such wide ranging corruption - even in one of the most corrupt places on the planet - did not sit well with many international observers, not to mention with many Americans, who have over 65,000 of their troops in the country. The specter of such fraud and corruption plays into the hands of those who are attempting to draw parallels between U.S involvement in Afghanistan with that of another corrupt government 40 years ago, that being in South Vietnam. This election has far reaching implications for the future of Afghanistan. As long as there is no final outcome, the Obama Administration cites that as a reason to delay the President's strategy determination. meanwhile, battles go on - American troops are fighting and dying. The Taliban is attemptinf to take advantage of the indecision in Kabul and more importantly, Washington. Not only does the Afghan government appear to have no direction or commitment, neither does the American administration. Both candidates are true Afghan patriots, even though one may be temporarily tainted by what we in the West consider corruption. We need to be very careful about focusing on Afghan culture and processes through a Western optic. Corruption and payoffs are a way of life - it always has been and from my observations, probably always will be. 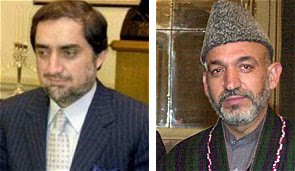 Both Karzai and Abdullah opposed the Taliban takeover of Afghanistan, and both were intimately involved in the American-supported operation to remove the Taliban after September 11, 2001. Abdullah's credentials may be a bit stronger than Karzai's but both were involved. There is an ethnic factor to consider as well. Karzai is a Pashtun from an influential Kandahar family. Abdullah has always been considered a Tajik, although during the campaign he chose to reveal that his father had been a Pashtun. In any case, he was raised in the Panjshir valley, the Tajik heartland. Since only a quarter to one third of the population (there has never been a census), his declaration of Pashtun heritage is understandable. It will be difficult, but not impossible to overcome Pashtun solidarity. Another overlooked but important factor may transcend the ethnic issue. This election runoff will be a referendum on the future structure of the Afghan government. Karzai prefers to continue the status quo with a presidential system - after all, he is the incumbent and likes the power concentrated in the executive. Abdullah has stated a preference for a parliamentary system with a prime minister as head of government. To do this, he would need to convene a loya jirga and change the constitution, but it is possible. I tend to favor Abdullah. He seems to be more above the corruption that has permeated the Karzai administration, and might have a broader power base throughout the country. That will be important as the improving Afghan security forces attempt to exert their control over the entire country. Of course, this control will come at the expense of the warlords. They might feel better dealing with Abdullah - he appeals to a wider audience. In any case, the fact that there are elections in Afghanistan is a good thing. 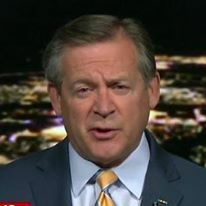 It will happen - there is no need for our president to wait for the results before he decides what our strategy will be. Make a decision and give the country a chance. If we wait too long, it may be a moot point.